The Lake Champlain Regional Chamber of Commerce measures their success by driving business to the members of their organization. Those searching for recommendations trust the Chamber because they are a dependable source for any type of event, restaurant, lodging, shopping, attraction, and much more in the Burlington, Vermont Area. 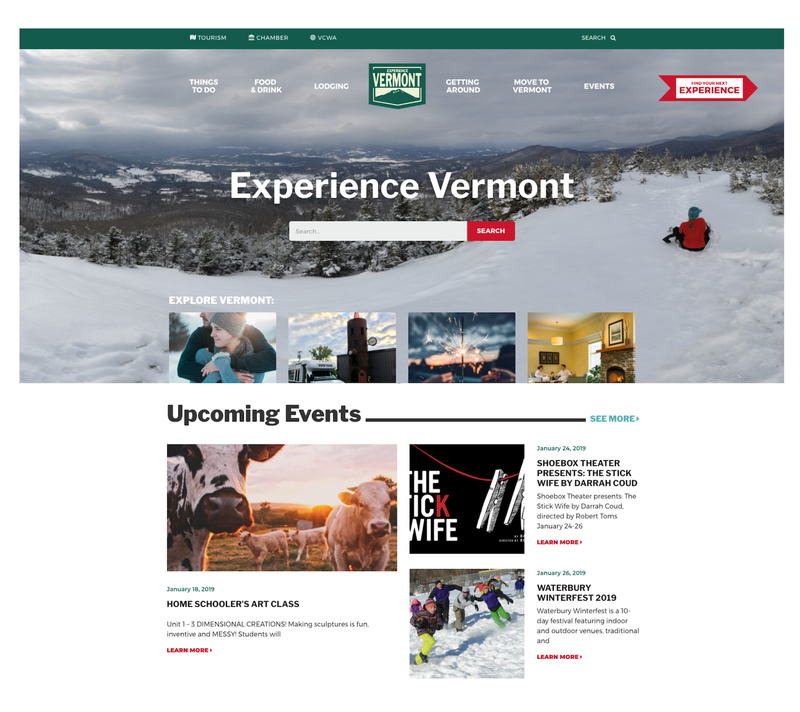 Our goal was to provide the Chamber with an engaging and interactive website that makes it easy for visitors to find the best places to go and things to do in order to experience Vermont to the fullest. This website is meant to embody and depict the state of Vermont, therefore, it was of great importance that the design mirrors the state, specifically Burlington. We used three different “experience” templates that were modeled after magazine editorials. The layouts allow for content variation and creativity in featuring Chamber members in a more engaging manner. In addition, we implemented goal tracking for ease of reporting to members on site impressions, exits to their websites, engagement with featured articles, and more. Both Bytes.co and The Chamber are very pleased with the result of vermont.org.